Pop legend Prince, who died Thursday, leaves behind legions of fans in D.C., Maryland and Virginia. The legendary musician played in the past year at the White House and in Baltimore in the wake of Freddie Gray's death. The "When Doves Cry" singer played at a "Rally 4 Peace" concert in May 2015 at Royal Farms Arena in Baltimore, weeks after the protests that followed Gray's death after his arrest. Prince debuted a song he wrote for the city, "Baltimore," that addressed "socio-political issues around the country in the wake of a slew of killings of young black men,” a spokeswoman said at the time. Dressed in gray, Prince said, "For those who have lost loved ones, we're here for you tonight." He then launched into a set that included his biggest hits. D.C. residents react to the death of music legend Prince. 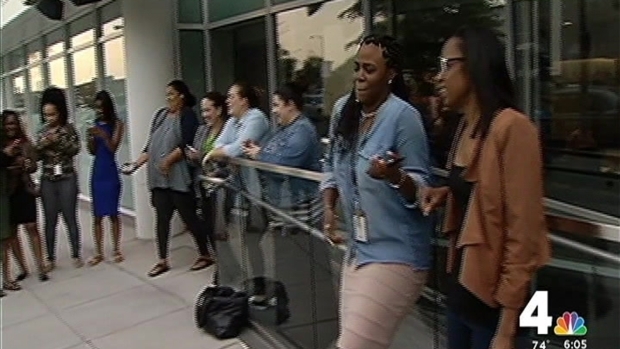 NBC4's Shomari Stone has the story. 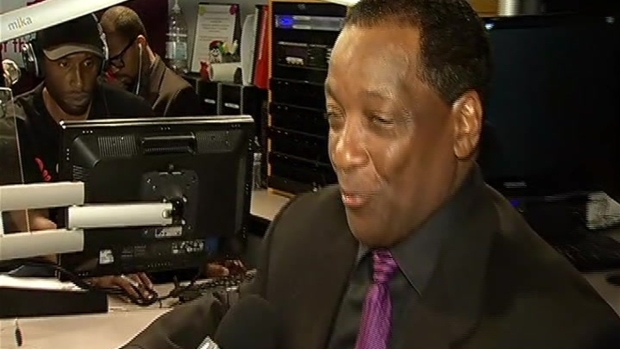 Donnie Simpson, host of the “The Donnie Simpson Show” on Majic 102.3 FM in D.C., knew Prince personally and said he was shocked by his death. “D.C. loves him just like everybody else around the world does, because his music was different,” Simpson told News4's Tracee Wilkins. Prince played a private concert at the White House in June 2015 for about 500 people. President Barack Obama and first lady Michelle Obama paid for the performance themselves, The Washington Post reported. The Purple One played a two-hour show that included "Kiss" and "Purple Rain," according to news reports. Celebrities in attendance reportedly included Angela Bassett, Tyler Perry, Russell Wilson, Ciara and Tracee Ellis Ross. Donnie Simpson shares the story of how he wound up at a Paisley Park party and inadvertently discouraged Prince from releasing "The Black Album" and other memories of his times with the late music icon. Tracee Wilkins reports. President Obama released a statement Thursday about the passing of Prince. “Few artists have influenced the sound and trajectory of popular music more distinctly, or touched quite so many people with their talent,” Obama said in the statement. Prince also played two sold-out concerts at the Warner Theatre in June 2015, performing for hours and amazing crowds with his energy and soul, news reports said. Prince was found dead at his home in suburban Minneapolis on Thursday, his publicist said. "It is with profound sadness that I am confirming that the legendary, iconic performer, Prince Rogers Nelson, has died at his Paisley Park residence this morning at the age of 57," spokeswoman Yvette Noel-Schure said. 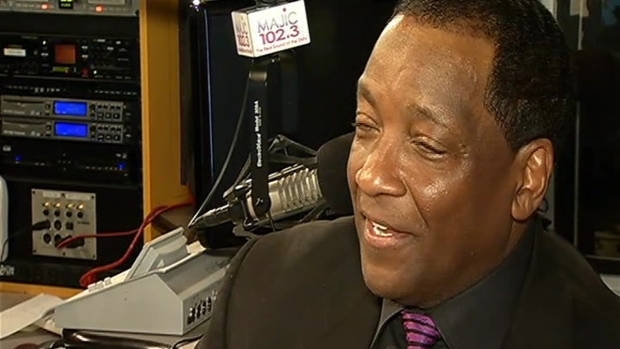 WMMJ-FM host Donnie Simpson reminiscences about time spent with Prince. Deputies found the singer unresponsive in an elevator after they were called to his compound. The musician had fought the flu for several weeks. His plane made an emergency landing last week because he was ill. Prince fans planned to gather Thursday night at 8433 Georgia Ave. in Silver Spring, Maryland, near the Majic 102.3 FM studio. The station invited fans to listen to the star's music and share stories.